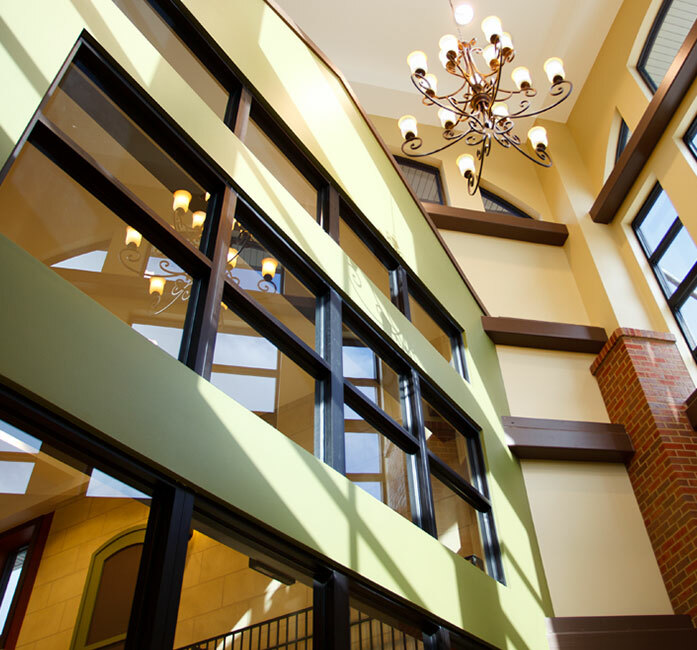 This new 89,000-square-foot facility in Wichita, Kansas is composed of three connected buildings accommodating assisted living, memory care, and a commons building on a 30-acre campus. The 40 assisted living apartments are arranged in neighborhoods with spas, sitting areas, screened porches, and laundry. 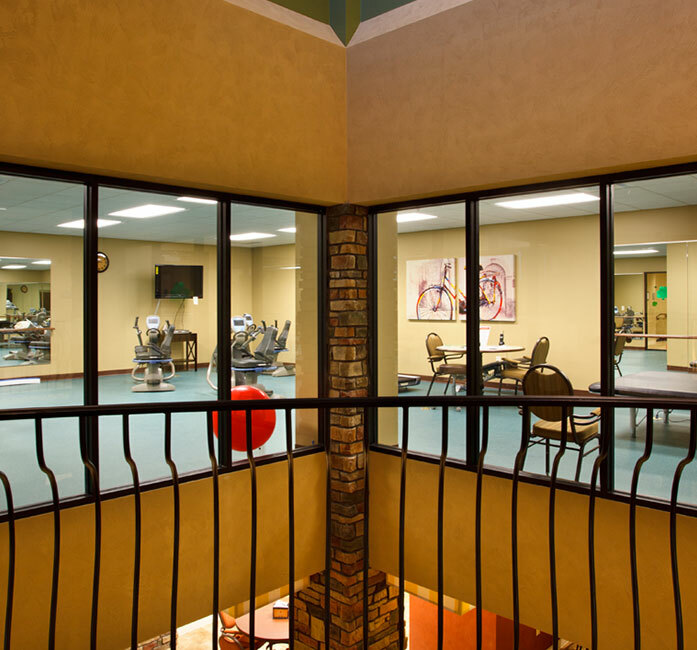 Memory care residents live in neighborhoods consisting of 16 single rooms arranged around a dining and activity area with kitchen, spa room, living room, and activity area.